PLATTEVILLE — In Wisconsin, most would agree that the more cheese the merrier. 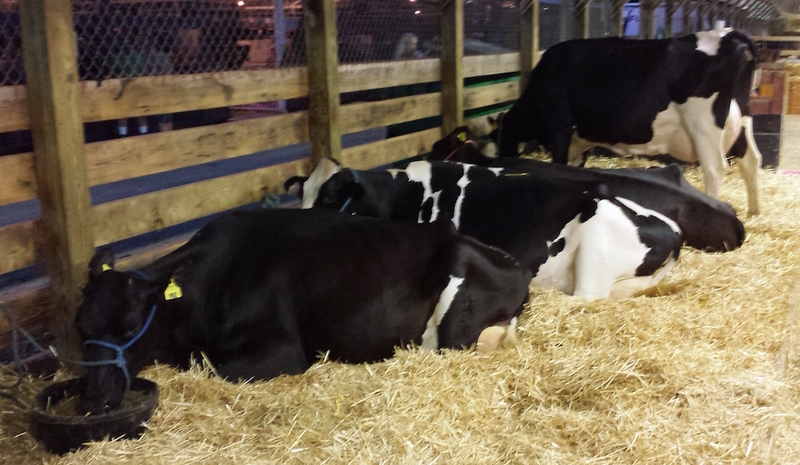 However, a recent experiment demonstrated that University of Wisconsin-Platteville dairy heifers don’t feel the same way. Stephanie Van Asten, a junior animal science major from Kaukauna, recently directed to a project that studied nutrition in heifers. She will share her findings at the upcoming Research in the Rotunda event April 12, 2017, in Madison. Van Asten’s project, titled “Acceptance of a Novel Cheese By-product in Young Ruminants,” began when she was contacted by Dr. Pete Lammers, assistant professor of animal science at UW-Platteville. Lammers asked her if she would be interested in working with his Nutrition Consulting class on a project at Pioneer Farm. Over a four-day period, researchers offered heifers at Pioneer Farm either plain pellets or pellets mixed with a cheese by-product. One week later for another four days, they would offer the heifers the option of silage plain or silage mixed with the cheese by-product. After completing this experiment, the results showed that the heifers preferred their silage and pellets plain. Van Asten said that her first research project was a learning process. “There was a lot of trouble shooting and adjusting to the situational aspects out of our control,” she said. Van Asten presented her project at an undergraduate poster contest at the American Society of Animal Science over spring break in Omaha, Nebraska. Research in the Rotunda will take place at the State Capitol. The event brings more than 100 students from campuses throughout the UW System to share their research findings and creative projects with legislators, state leaders, alumni and members of the public.